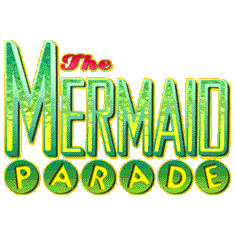 The Mermaid Parade is the largest art parade in the nation. A celebration of ancient mythology and honky-tonk rituals of the seaside, it showcases over 1,500 creative individuals from all over the five boroughs and beyond, opening the summer with incredible art, entrepreneurial spirit and community pride. The parade highlights Coney Island Pageantry based on a century of many Coney parades, celebrates the artistic vision of the masses, and ensures that the summer season is a success by bringing hundreds of thousands of people to the amusement area in a single day. The 2013 parade will still highlight our ability to mix high and low culture on the beach, as we partner with several Bensonhurst-based muscle car clubs, the Hungry March Band, and our celebrity King and Queen (not yet identified, but past royalty have included Laurie Anderson, Moby, Jackie “the Joke Man”, and others). It will include floats by participants as well as our sponsors and community partners (including the New York Aquarium, Deno’s Wonder Wheel, and Luna Park). The budget is changing: 2012 was our largest turnout ever (750,000 spectators! ), straining our ability to control it. We’re working with an outside production company to run the logistics of the parade and coordinate with the police, the community board, etc. The infrastructure of the community is changing: We’ll begin earlier and will change the staffing of the assembly areas to address the increase in the crowds, the expansion of the business district along the boardwalk, and the new businesses on Surf Ave.
We have a chance in the next few years to create new traditions and lock in new facilities. For 30 years, the parade has been an improvisation between the arts and the neighborhood’s iconography. When the Parachute Jump was decaying, we celebrated its history by making the parade an annual stroll and survey of art and architecture. We were the first to bring people back to the grounds of Steeplechase Park… to the Childs Restaurant Building… to bring the performing arts to the Aquarium… Now, working with the Alliance for Coney Island, we will help move the center of gravity to the west by beginning and ending the parade near the new Steeplechase Plaza with restored historic attractions like the Parachute Jump and B&B Carousell. Our ribbon cutting ceremony will also refocus on theatrics as it moves away from sunbathers and to the west of Steeplechase Pier.